The development of Savannah Lifestyle Resorts has been a feat of grand proportion and incredible dreams shared by a group of local Mareeba business people. Unfortunately, in spite of an abundance of passion and commitment from management and staff, the adverse financial effects of the GFC were too severe for such a small group to withstand and the development has never achieved its full potential. After months of negotiations and contractual discussions I am now thrilled to advise that Savannah Lifestyle Resorts has been purchased by NGI Savannah Living Communities Pty Ltd. This move is tremendously positive for everyone concerned and the new development owners are at pains to ensure that the high criterion of design, construction and operations that make Savannah Lifestyle Resorts so unique will continue to be the benchmark. Furthermore they have committed to inject a substantial investment into the resort in order to bring it to fruition and have plans to progress the Savannah brand around Australia. Of prime importance is the completion of the amenities including the construction of a clubhouse, heating of the Savannah InvigaPool and installation of solar power onto the amenity roofs, however installation of all the civils in Stage 2 will be prioritized. Some exciting new standard inclusions are planned for the Savannah homes going forward (see page 3 for more information) and the first solar inverter systems will be fitted onto houses in Stage 2 within the next couple of months. So if you’ve been toying with the idea of buying a home in Savannah, now would definitely be a good time to make a move before you miss out altogether! 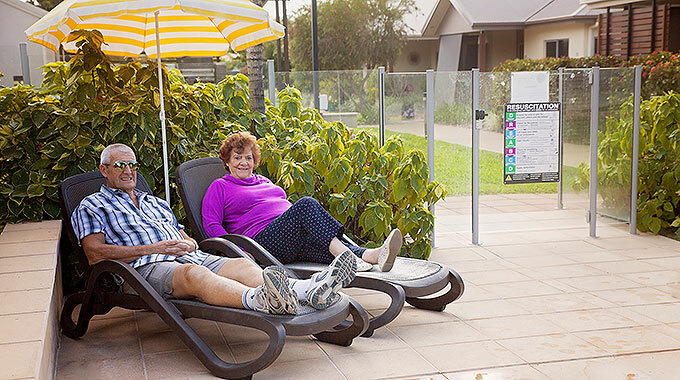 Why not take a drive up to the resort and see for yourself why Savannah Lifestyle Resorts is raising the benchmark in the retirement industry in Queensland.